Six Outstanding Colheita Ports from Burmester. Orangey (tawny) colour. The fresh fruit tones gain nutty dry fruit nuances, lending the wine a subtle elegance. A classic port wine, which helped the drink became famous throughout the world. This wine is obtained by blending different harvests. At first it is aged in oak vats and after 4 years it is blended. Its ageing and consequent oxidation in oak makes its colour turn from red to orangey. It can be appreciated as an aperitive or on any other ocasion. Ideal accompaniment to nuts, cheeses or deserts. Ruby in colour. Its exceptional fruity, fresh and original bouquet is a unique experience when drunk in the open air. Burmester White Port presents a vivid citrus color with greenish reflections. Rich and complex nose, dominated by floral aromas and intense fruit expression. Soft and silky on the palate, it shows great freshness, good balance and sophisticated elegance. Produced exclusively from white grapes, this wine is obtained by blending different harvests. Initially aged in stainless steel vats, it is a very exotic, fresh and delicate wine. It is blended after 3 years. Its aromatic complexity and a Baume of 3º make it an unforgettable experience on a sunny and balmy summer afternoon. 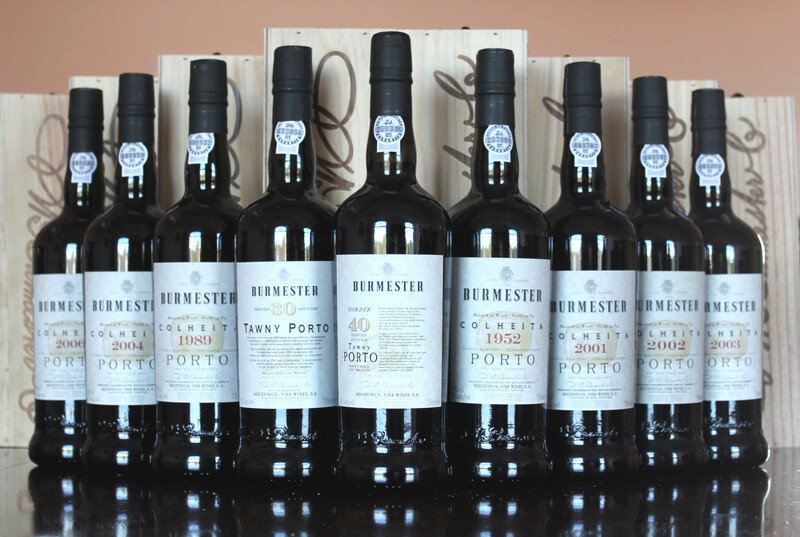 The 2006 Burmester Colheita Port is a classic wine of exceptional quality and elegance. The Port is made from a single harvest (a "Vintage Tawny") and aged in small 550-litre oak barrels in their Vila Nova de Gaia Cellars. It is bottled at least seven years after the harvest. The 2006 has a complex nose with dark berries, cress, coffee . Full-bodied and great balance. Smooth palate that reflects the nose. Very good length. Excellent.